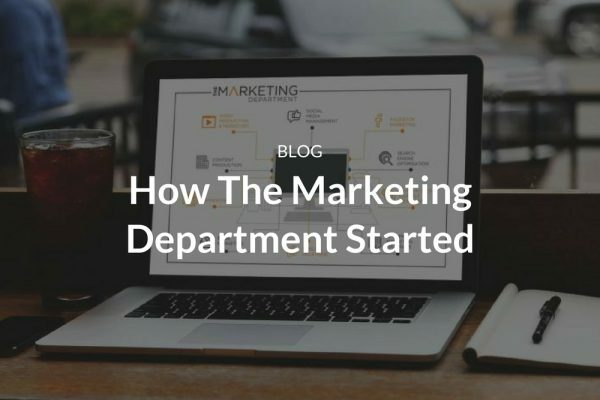 The Marketing Department creates first-class creative and production, to paid advertising campaigns that drive real results. Andrew and the team at The Marketing Department were a massive help to me when I decided to start my own electrical business. From developing my company website and advising on the best content for social media channels, it wasn't long before I started to see leads coming through from activity online. Would highly recommend to anyone looking to start or grow their business. We are delighted with the website created by the Marketing Department for our business. Working wth Andrew and the team has been the best decision we've made as we've experienced a strong rise in online enquiries generated through our site. This has ultimately resulted in a very positive increase in us getting client's to contract and therefore benefitting our bottom line. Great investment and we wouldn't hesitate to recommend their services. I have worked with The Marketing Department on a range of different projects and their service and knowledge is best in town. I have seen incredible results, especially across digital and social channels and this has undoubtedly lead to new business through the door. We love our new website and look forward to continuing to grow our business with the Marketing Department as an extension of our team. Highly motivated to help you achieve the outcomes you're looking for and good communication throughout the process. My experience with The Marketing Department has been very positive, pleased to recommend. Andrew was great to work with, and has helped us grow our business beyond what we could do on our own. Would highly recommend The Marketing Department! We have increased new patient appointments from approximately 15 to 80 patients per month since working with The Marketing Department! …expect a quick reply from our team soon!